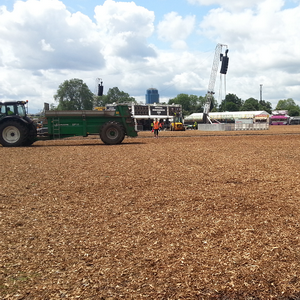 CPA Horticulture supply 10,000 M3 Woodchip into Hyde Park to rescue summer concerts. 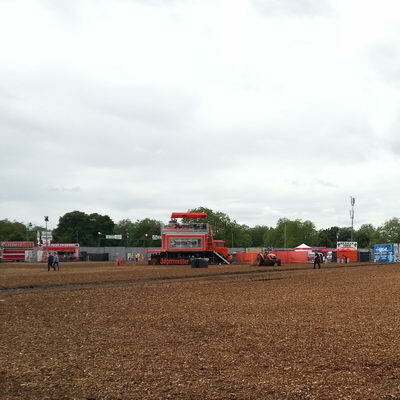 In the tail end of July, CPA Horticulture were approached by organisers of the Hyde Park 2012 summer concerts to provide 2,500 M3 of woodchip to make the ground safe after rain had turned the events surface layer into a muddy bog. The very next day, we had staff and lorries on the road making their way to the festival. 2,500 M3 quickly became 10,000 M3 as the park deteriorated and the scope of the project expanded as the forthcoming Hard Rock Calling concert was put in jeopardy due to the ground being waterlogged and unsafe for the audience. Over a span of 72 hours, CPA Horticulture delivered 10,000M3 covering 80,000 square with over 250 lorry movements coordinated. The wood chippings provided an excellent emergency ground cover, absorbing the water and keeping the surface layer dry much to the delight of the events visitors. You can read more about this story over at Eventindustrynews.co.uk (here) and EventMagazine.co.uk (here) or take a look at our festival woodchip services here (here). Learning from this experience, CPA Horticulture have devised bespoke offerings to the event industry, allowing us to deliver, install and remove event surfacing tailored to organisers needs and budgets. 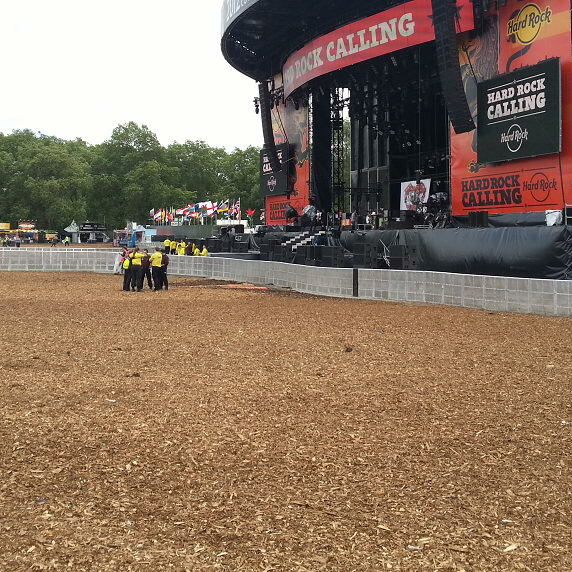 Home › Blog › CPA Horticulture supply 10,000 M3 Woodchip into Hyde Park to rescue summer concerts.